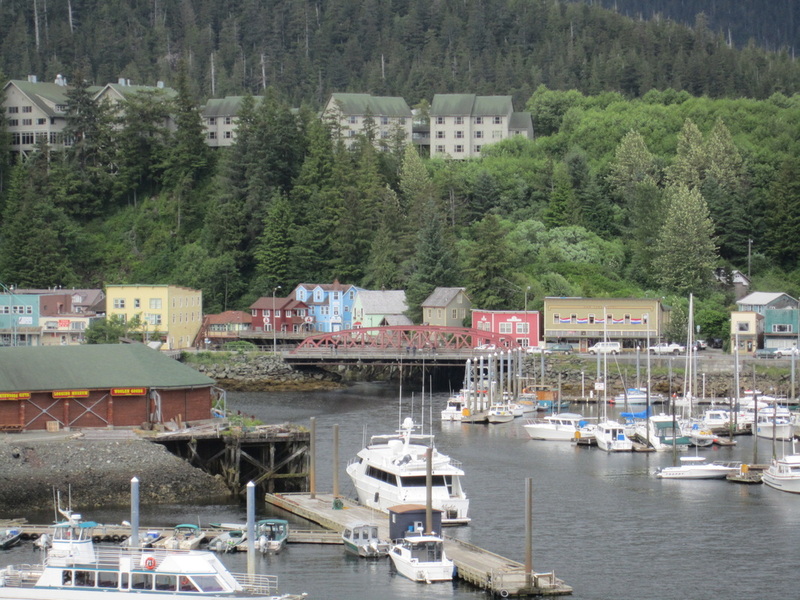 Ketchikan is sometimes referred to as Alaska's "First City" because it's the first major stop cruisers come to as they travel north. Located on an island, Ketchikan began life as fishing camp of natives. 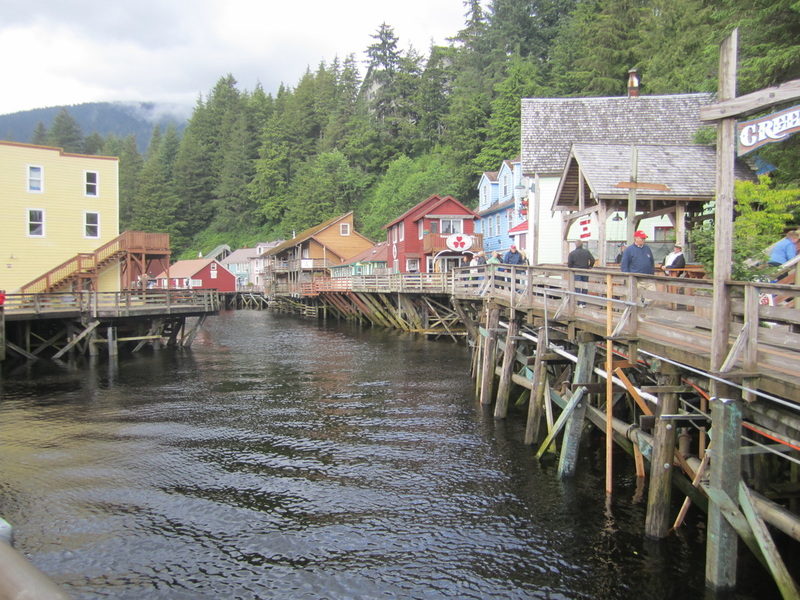 The name Ketchikan comes from a Tlingit phrase that means "eagle with spread-out wings." This small city of 14,000 residents makes their living in tourism and fishing. it is known as the Salmon Capital of the World. You can find rain forest, creeks, mountains, and more in this gem of a city. The colorful fishing village style buildings give it a unique charm all it's own. 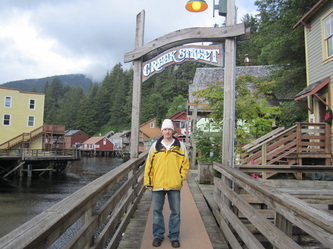 The History of Creek Street can be summed up by fishermen, bootleggers, & prostitutes, oh my! 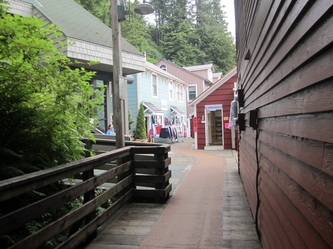 Creek Street is known as Ketchikan’s old red-light district. Of course, now it's full of trinket shops and cafes. 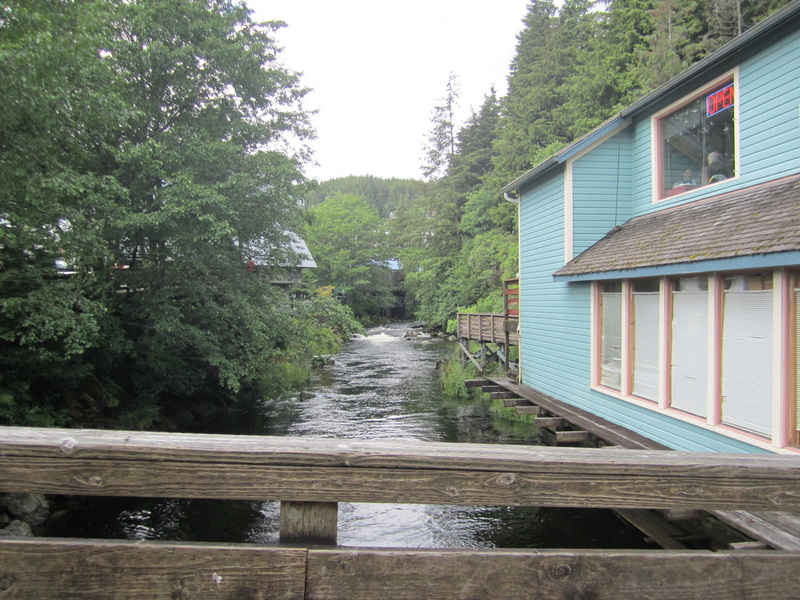 Creek Street is built along the shores of Ketchikan Creek. It was built over the water because it was too difficult to blast away the rocky hills surrounding the creek. 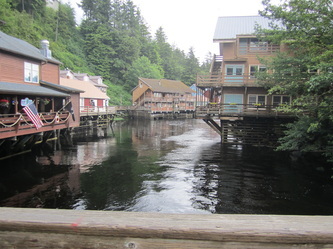 This is a common theme with Ketchikan as you will notice a large percentage of the town was quite literally built ‘over the water’. The quaint, historical buildings, boardwalk & wooden pilings bring visitors flocking to take photos & shop among some of Ketchikan’s best shopping in town. 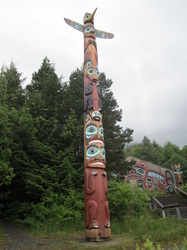 My husband and I chose to visit this park because it was advertised as the "largest collection of totem poles in the world." We were in for a shock to see that it covered only two acres more or less. We hopped on the dollar bus that picks up and drops off right near Creek Street. It was the city bus that the locals use to go between Ketchikan and outlying cities. It did not run on time, but thankfully we were exploring town on our own that day and had some flexibility in our schedule. After a 15 minute ride we were dropped off on the side of the road. Slightly confused we realized that the park was right in front of us, up the hill. After 5-10 minutes of exploring we were done. The carving house was not open that day and there was nothing else to see. We waiting about 45 minutes for the city bus to return and made our way back to town. 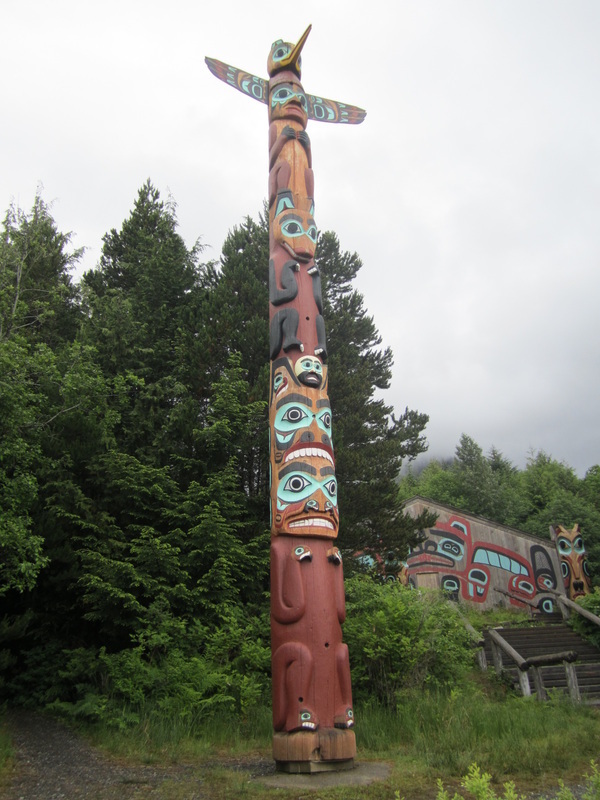 Totem Bight State Historical Park is approximately 10 miles from the town of Ketchikan and offers a unique view of the Tlingit culture. 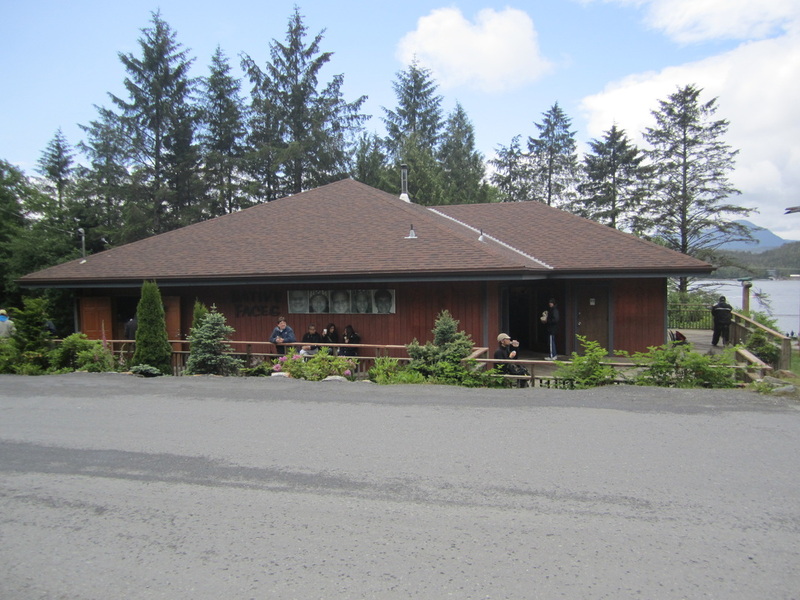 The park was established in 1938 as part of a U.S. Forest Service program. Native carvers recreated the totems that were badly damaged by time and weather and to save the poles that could be restored. 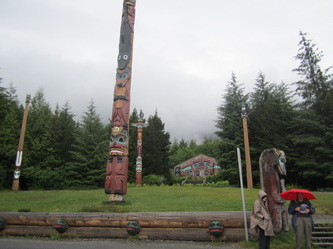 The park is home to 14 totem poles, each telling their own story, and a replica of a clan house. 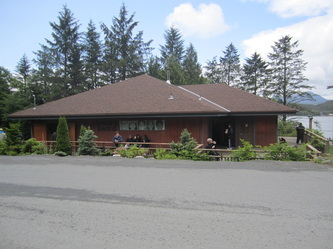 The clan house, or community house, is similar to those found in other Southeast native villages in the early 19th century. 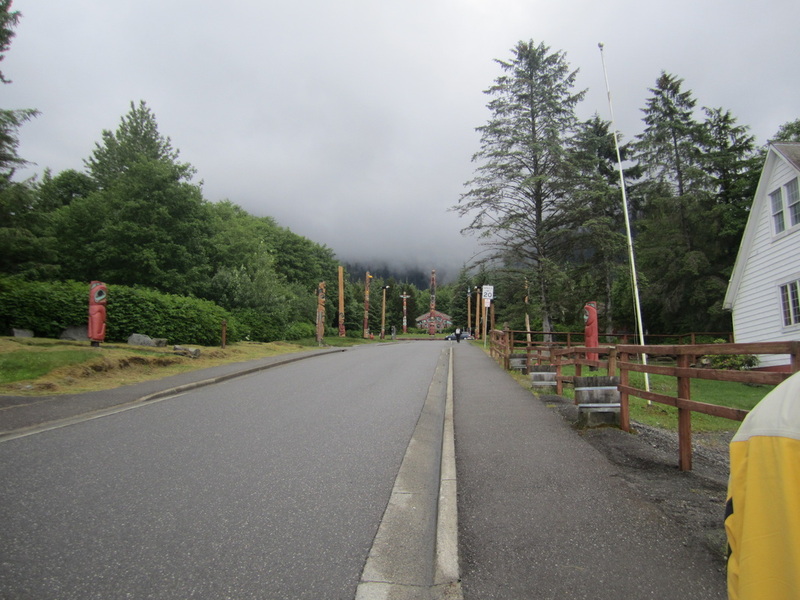 The park is set in a beautiful forested area on the edge of Tongass Narrows and offers interpretive signs, a bookstore and restrooms. Treat yourself to an action-packed rowdy good time as Southeast Alaska's rich logging history come to life in this thrilling display of woodman skills. The world's best timber athletes go head to head in more than a dozen exciting and dangerous events such as speed chopping, sawing, chainsaw races, log rolling and the death-defying speed climb. 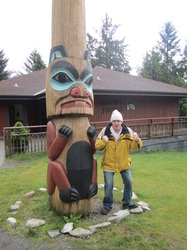 Your colorful host will not only introduce the events but will also offer a historic view of the Alaskan timber industry that has shaped this rugged land. Misty Fiords National Monument is a pristine masterpiece featuring some of Alaska’s most spectacular scenery. Seventeen thousand years ago the area was covered in ice. Massive glacier action carved out its present landscape- long saltwater fjords hemmed in by cliffs that soar as high as 3,000 feet into the air. Scenery ranges from tidewater estuaries to mountains often shrouded in mists, sky-blue lakes, waterfalls and the seemingly endless evergreen forest. Misty Fjords' road-less location is only accessible by floatplane or boat from Ketchikan.